Laravel is an open source web framework for PHP developers that encourages the use of the model-view-controller (MVC) pattern. You can check out PHP on Google Cloud Platform (GCP) to get an overview of PHP and learn ways to run PHP apps on GCP. 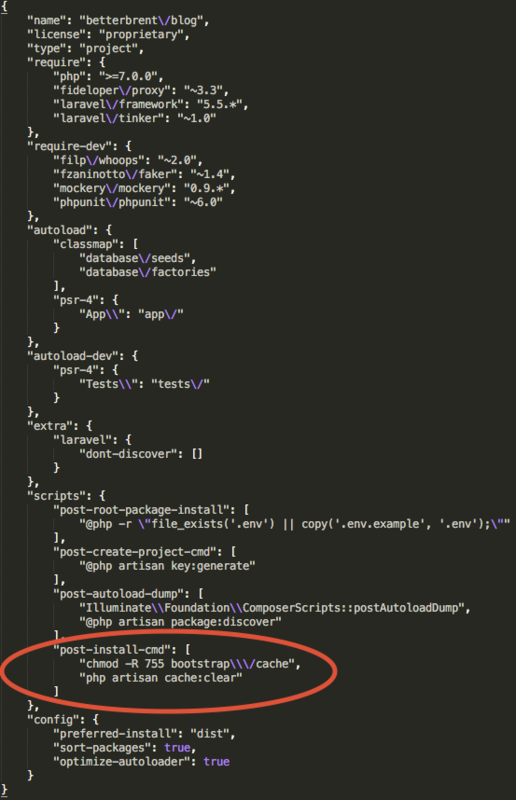 Follow the official documentation for installing Laravel from laravel.com. Visit http://localhost:8000 to see the Laravel Welcome page. Visit http://YOUR_PROJECT_ID.appspot.com to see the Laravel welcome page. Replace YOUR_PROJECT_ID with the ID of your GCP project. Follow the instructions to set up a Google Cloud SQL Second Generation instance for MySQL. Follow the instructions to install the Cloud SQL proxy client on your local machine. The Cloud SQL proxy is used to connect to your Cloud SQL instance when running locally. Use the MySQL client, or a similar program, to connect to your instance and create a database for the application. When prompted, use the root password you configured. mysql -h 127.0.0.1 -u root -p -e "CREATE DATABASE laravel;"
## Set these environment variables according to your CloudSQL configuration. Replace each instance of YOUR_DB_PASSWORD and YOUR_CLOUDSQL_CONNECTION_NAME with the values you created for your Cloud SQL instance above.